By Kae Kawanishi in malasiakini. Saving the tiger will ensure that future generations continue benefiting from a healthy ecosystem. The extinction of the charismatic top predator, however, is just one indication of humans’ misplaced priorities and short-sightedness destroying our only home. 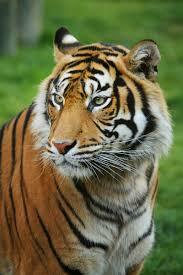 The Malayan tiger (Panthera tigris jacksoni) is about to go extinct in the wild. Because of its limited distribution, only Malaysia can save this tiger from imminent extinction, but drastic actions needed are unlikely to come in time. The tiger is the most endangered of the big cats on Earth. Four tiger subspecies have gone extinct in the past century and among the five surviving, the Malayan tiger is the least known, least supported and is closest to extinction.